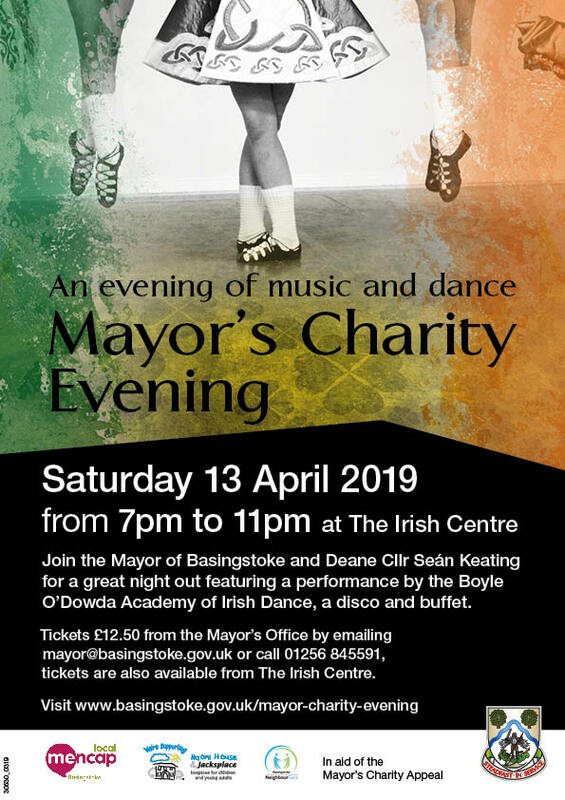 The Mayor’s Charity Evening in Basingstoke for 2019 promises a fun-filled evening of Irish music and dance raising money for the Mayor’s charities. Tickets £12.50 from the Mayor’s Office by emailing [email protected] or call 01256 845591. Tickets are also available from The Irish Centre, Council Road, Basingstoke RG21 3DH. The Mayor’s team says that as always, your valuable support is very much appreciated – thank you.